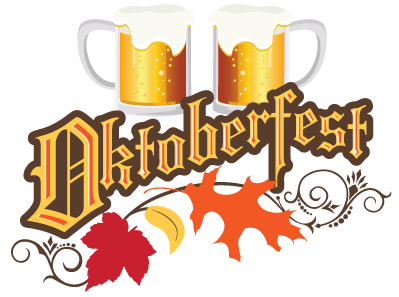 5 Spectacular places to celebrate Oktoberfest! 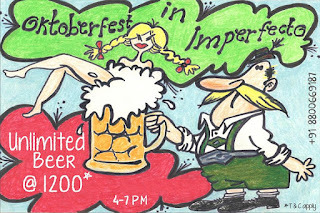 Gear up as Oktoberfest 2015 is here. 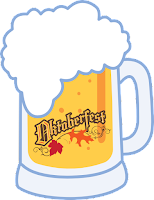 Oktoberfest is the world's largest beer and travelling festival. 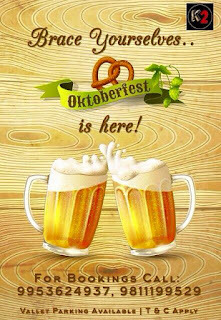 So for all the beer lovers out there, we bring you the spectacular places to celebrate Oktoberfest and say "Cheers"
1. Imperfecto- Hauz khas Village and Cyber Hub: Have unlimited beer at a limited price all around the clock. Savor the rich taste of your favorite beer @ Imperfecto. Refuel yourself with this tempting offer. 2. Matchbox: Join in for the "Octo-beer" fest -4 Weeks-4 Big Bands, Special offers on food and Beer, The Foodie Challenge & much more...This October only at Matchbox. It Cannot get any better! 3. Kinbuck 2: Dive into deliciousness with amazing offers on beer and food @Kinbuck2. 4. Smokeys BBQ & Grill: Beer is great, but beer with mouth watering food is Awesome!! Enjoy delicious combos of food and beer @Smokeys!! 5. 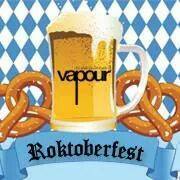 Vapour: Relish the taste of Mediterranean, Chinese and French cuisines with some heady beverages. So, what are you waiting for? Cheers!!!!!!!!!!!!!!!!! !